After leading tours at Green-Wood for 28 years, I still love to create new ones. One of the virtues of doing new and different tours of Green-Wood: I get to research and learn. So it is with my recent tour, “Sound the Alarm: Green-Wood’s Firemen.” I knew, before I began this research, about several lots and monuments at the cemetery dedicated to firemen. However, as I prepared for this tour, I learned a great deal more. One story that has come together: that of hero Fireman William H. Nash. A great source for information about New York City firemen is Reminiscences of the Old Fire Laddies and Volunteer Fire Departments of New York City and Brooklyn, Together with a Complete History of the Paid Departments of Both Cities (that’s quite a title! ), by J. Frank Kernan, published in 1885. 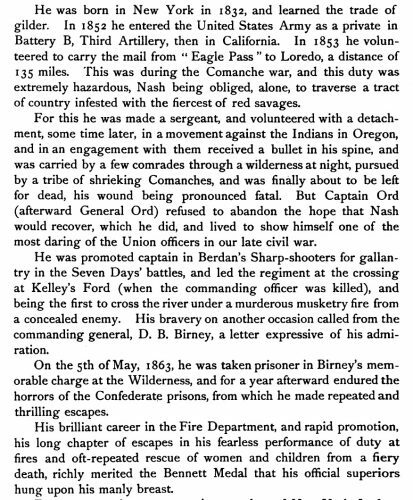 The description of the Civil War service of Captain William H. Nash of the U.S. Sharpshooters, as it appears in Old Fire Laddies. 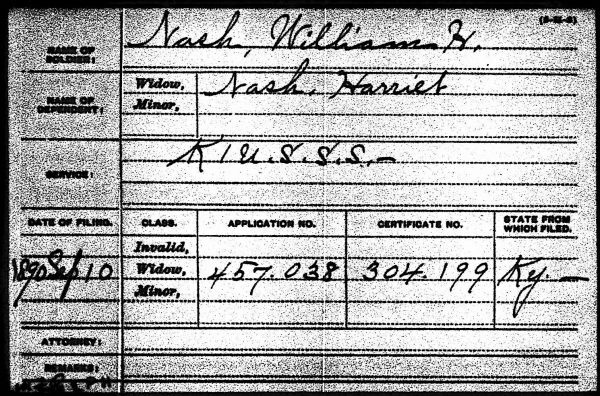 Nash was described as 6 feet tall with a “military air.” He lived with his wife and children in Manhattan. Kernan also details at length the particulars of Nash’s service as a fireman–his acts of heroism, his rise through the ranks to battalion chief, and ultimately his tragic death in the line of duty. 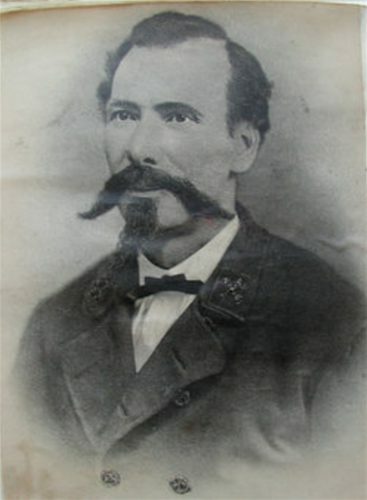 Nash joined the New York City Fire Department in 1868 and rose to battalion chief. He was awarded the Bronze Bennett Medal, the highest award for valor given to firefighters, for his actions on December 30, 1872, when, without the protection of a hose-line, he made his way to a rear bedroom, engulfed in flames, to save two children. According to Nash’s obituary in the New York Daily Tribune, he saved the lives of at least 15 New Yorkers at a series of fires during his career. 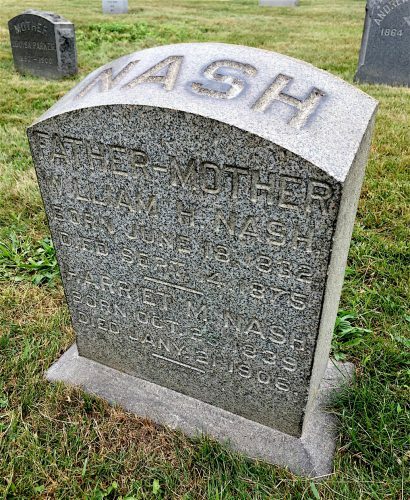 Nash died in a tragic accident on September 14, 1875 and was interred at Green-Wood three days later. As per The Last Alarm by Boucher, Urbanowicz and Melahn, on that date, Battalion Chief Nash and a detail of firemen were assigned to demonstrate to the public the latest addition to the Fire Department’s equipment: a wooden aerial ladder. As buildings got taller and taller in Manhattan, the need for a ladder that could extend upward became acute. This aerial ladder was thought to be the solution. Nash had tested the ladder at sunrise that morning, ascending to its top–and all had seemed in order. 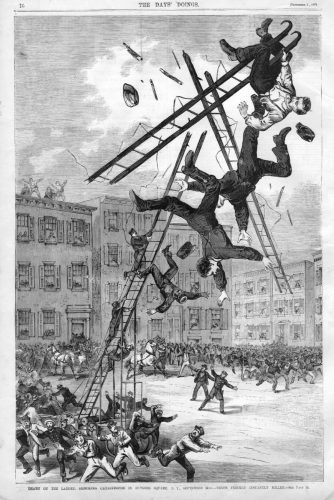 At 11:00 a.m., at the junction of East Broadway and Canal Streets in Manhattan, an expectant crowd gathered; police pushed the spectators back from the ladder to prevent injury in case of an accident. When Nash gave the other fireman the order to climb the aerial ladder, they seemed uneasy and hesitated, apparently concerned about their safety. He urged them upward, exclaiming, “Why, there’s no danger,” and himself took the lead, racing to the top. But as he reached that top, followed closely by two other firefighters, the ladder splintered and broke, apparently because of the poor spruce wood with which it had been made, the solidity of which was further undermined when the holes for the rungs were drilled. As the crowd watched in horror, the three firemen fell 98 feet to the pavement below. Nash and another fireman died instantly; a third died shortly thereafter. The five other firemen, who were on the ladder, but below the section that gave way, were uninjured. Aerial Ladder Accident on September 14, 1875. Courtesy of Gary Urbanowicz. 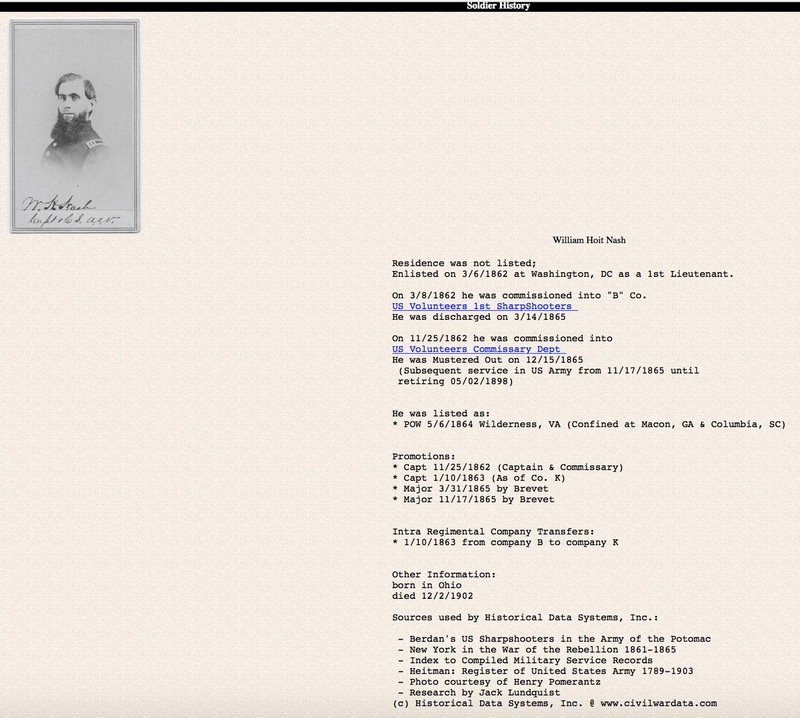 The record of William H. Nash’s service in the United States Sharpshooters, 1st Regiment (known as Berdan’s Sharpshooters), as reported in the American Civil War Research Database. Click on the image to get a better look at it. A per the above report, the William H. Nash who served in the Sharpshooters, 1st Regiment (I checked the regimental muster roll: there was only one William H. Nash in that regiment), was born in Ohio and died on December 2, 1902. 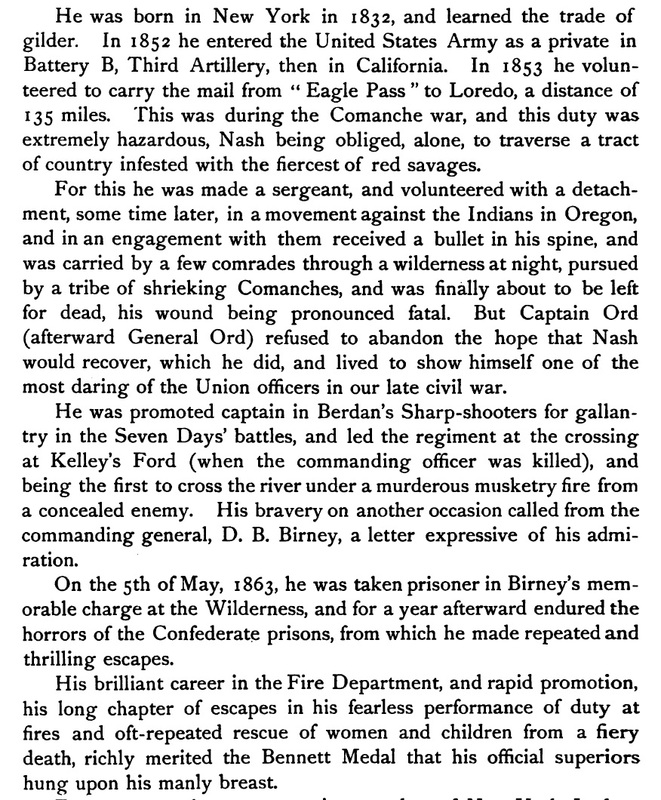 If that were correct, our hero fireman, who was born in New York City and died in 1875, could not be the William H. Nash who served as a captain in Berdan’s Sharpshooters. But this didn’t seem right. Something was very wrong. Kernan, when he wrote his Old Fire Laddies, personally knew the men he was writing about. They were his contemporaries. And there were many others alive in New York City who knew the stories of these men. So how could Kernan have gotten so much detailed information so wrong? How could he have given Battalion Chief William H. Nash a Civil War soldier’s history that was that of another William H. Nash? Could he have made such a grievous mistake? I decided there was only one solution to this problem: Sue Ramsey. Sue is a volunteer researcher with our Civil War Project who lives out in California. By the miracle of the Internet, she is able to work at solving our most perplexing mysteries. And she is certainly always up for a challenge. So I sent her the information: hero Fireman William H. Nash died on September 14, 1875, and was interred at Green-Wood three days later. Was he also the William H. Nash who served as a captain in Berdan’s Sharpshooters during the Civil War? Sue plunged right in. And, within days, she was able to confirm that the information that the William H. Nash of Berdan’s Sharpshooters was born in Ohio and died in 1902 was oh so wrong–and to confirm our suspicions that the hero fireman interred at Green-Wood was also the heroic soldier. Here’s what Sue found. The obituary in the New York Tribune of the hero fireman who is interred at Green-Wood confirms his Civil War service: “During the war he served in the army, and was several times promoted for gallantry.” The New York Times, in its obituary, lists pallbearers at his funeral who were officers in the Fire Department as well as those from the Third Army Corps Union (a fraternal organization of veterans of that corps). Notably, when Captain William H. Nash served with the United States Sharpshooters, that regiment was attached to the Third Corps of the Union’s Army of the Potomac. Additionally, the New York Herald reported on the day of his funeral that the Third Army Corps Union had passed a resolution describing the battalion chief as “our much beloved and esteemed comrade, Captain William H. Nash.” Captain was the highest rank achieved by the William H. Nash who served in the Sharpshooters; “captain” would have been an appropriate reference to his military service. Further, a delegation from the Grand Army of the Republic, the fraternal organization of Union Civil War veterans, was present at his funeral–ostensibly honoring their comrade in arms. The gravestone of Battalion Chief William H. Nash and his widow, Harriet. They are interred in section 15, public lot 17263, grave 1042. This gravestone is visible from Maple Avenue, on the side of Maple Avenue closest to the cemetery’s perimeter fence. The pension index card for the widow of Captain William Nash of the 1st Regiment of the United States Sharpshooters, Company K (written on the pension index card as K1USSS). Battalion Chief William H. Nash. Courtesy of Gary Urbanowicz. 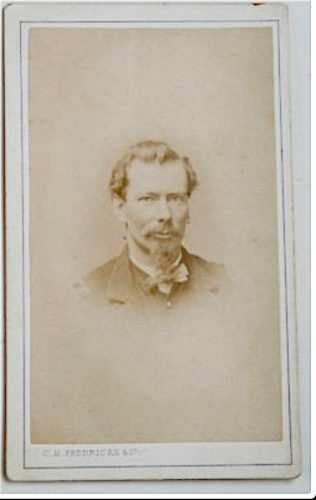 A carte de visite photograph of Captain William H. Nash of the United States Sharpshooters. 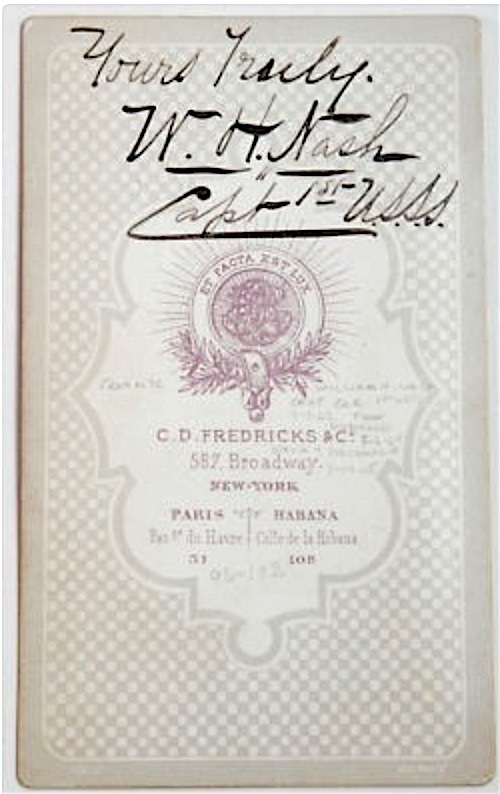 The back of the carte de visite identifies its subject–Captain William H. Nash of the 1st United States Sharpshooters, with his signature. 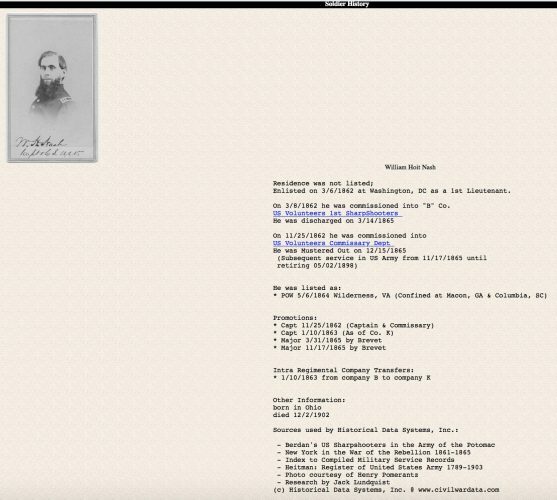 Compare the two photographs above, that of Battalion Chief William H. Nash and that of Captain William H. Nash of the United States Sharpshooters. The same man! Note the similarity of the hairlines, the shape of the heads and cheeks, the prominent brows, and the facial hair. William H. Nash led an extraordinary life of service. He deserves to be remembered for his service to his country and his city, both in war and in peace. He should be recalled,, and honored, for his service to his community as a fireman and for making the ultimate sacrifice in the line of duty. Hopefully this blog post will give him a measure of the recognition that he so richly earned during his too-short lifetime. Berdan's Sharpshooters, United States Sharpshooters, William H. Nash. ← Gutters Are In Again!